From weight-shaving frame design to compliance-boosting technologies, we're proud to welcome the ALR to the Teammachine family. Internal cable routing, BMC race-ready geometry and select carbon elements including the D-Shaped seatpost, ensure that the Teammachine ALR meets the standards of its category. Complete with our TCC Race technology, this Al-13 Premium Aluminium frame with rim brakes is worthy of the 'Teammachine' family name. Smooth welds and size-specific, butted tubing ensure benchmark weight and stiffness. The Premium Carbon fork developed for our Teammachine SLR01 delivers a superior ride and first-class handling. Sleek and minimal look, easy accessibility and improved resistance to the elements. Improved durability and a clean, understated look. Alloy cable ports deliver clean and weather-proof cable routing. The secure cable hold eliminates unwanted rattling. The new Teammachine ALR promises all the performance of the revamped carbon Teammachine SLR in a more affordable build. The Swiss bike maker calls this their most advanced aluminum frame to date and it sure looks the part. 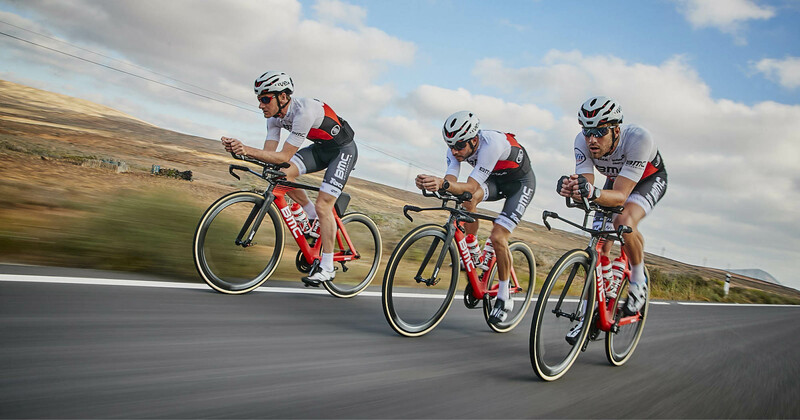 The Teammachine ALR is the ulitmate synthesis of raw power transfer, compliance and carbon-tuned ride quality. Blending the high-end aluminum core with sophisticated carbon components like the ACE Technology fork and the D-Shaped seatpost, the Teammachine ALR is the ulitmate synthesis of raw power transfer, compliance and carbon-tuned ride quality. This bike was conceived as an entry to performance riding, taking the rider from recreation to a higher level.